Planting is like a lifetime investment. There are many benefits of indoor planting, but it depends on several things including the care you provided during planting and also the follow-up care after planting. However, plant owners who travel often need to rely on DIY solutions, store-bought plant watering systems or their neighbors. These plant watering systems may not be optimal as they can stress out plants with overwatering and underwatering– and may not be the most time efficient. A Singapore based company Algante has developed an intelligent plant watering ally named “Flora”. 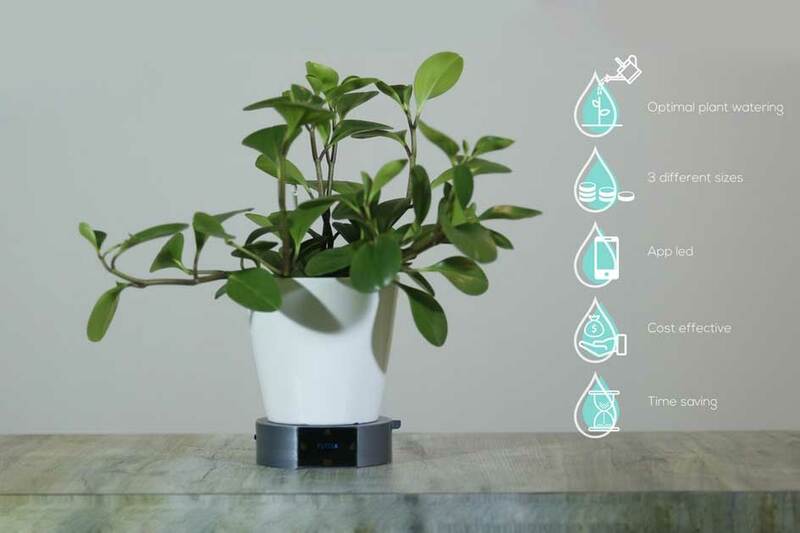 It is the first-of-its-kind, AI-enabled plant watering system that automatically waters any indoor houseplants to the highest precision. By detecting soil moisture levels, Flora will adjust for the frequency of water release and maintain the optimal moisture level in the soil. Its water tank ensures that plants can be watered for up to three weeks before being refilled. Imagine how much time you can save on a weekly basis! Flora conserves water on a daily or weekly basis, allowing owners to raise the greenest plants while saving water. It comes equipped with AI sensors which measure the moisture level near the roots of the plant. 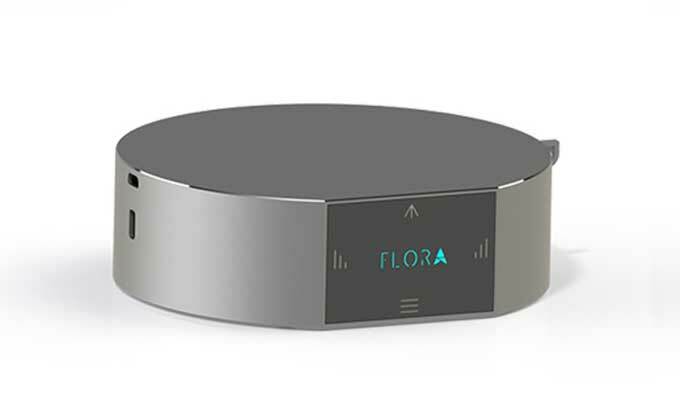 Flora will understand how much water is being used or evaporated, it will then automatically dispense the exact amount of water needed for the plant. It requires an easy setup and also easy to use. What you have to do is simply put your potted plant on top of Flora. 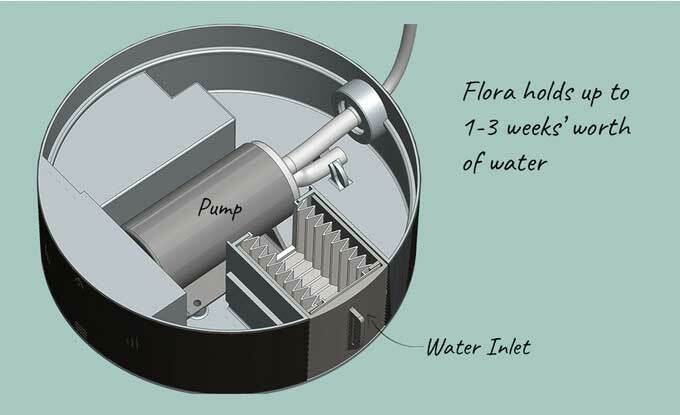 Then attach the included pipe and sensor to Flora and fill the water tank at the platform. Place the sensor in the soil up to the given marking, adjust the angle of the pipe such that it is close to the stem and away from the sensor. Now you are all set, simply switch on the power- as simple as that. You will receive an alert when the water tank runs low on water. Refill the tank and add a few drops of liquid fertilizer if you wish. 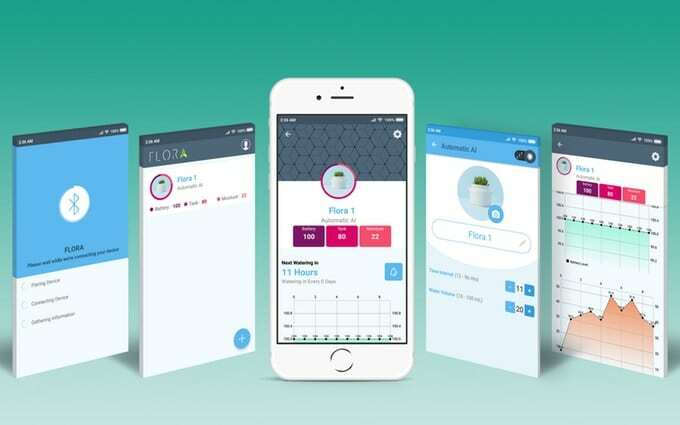 Additionally, Flora comes with a smartphone App that helps you to monitor the plants’ progress remotely. The app can monitor soil moisture levels, the water level of each individual platform, battery levels, and show watering histories. This will help you to keep your plant healthy and beautiful even when you travel. Flora is built to ensure optimal watering for greener, healthier plants! In addition, Flora comes in three sizes to cater to the different size requirements of your pots. they come in diameters of 6, 8 and 12for small, medium and large sizes respectively. The sleek design, the minimal look, and the AI technology have been thoughtfully designed to ensure that the focus remains on your plant while Flora cares for it. No more overwatering or underwatering! Flora ensures your plant gets the exact amount of water it needs. 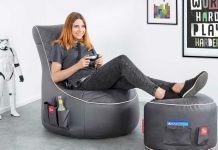 Take a break and enjoy your holidays without worry!